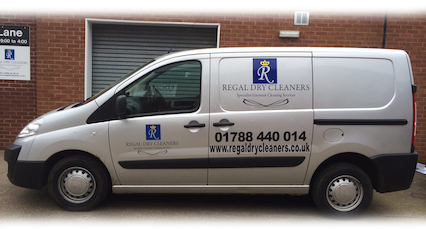 Family owned Regal Dry Cleaners began operating in December 2010. After a number of years building our laundry, ironing and cleaning operations we decided to set up our own dry cleaning business in order to complement our existing services and maintain the high standards our customers have come to expect. We have invested in top quality dry cleaning equipment and, coupled with that, we use only the best available solvents and stain removal products. Our loyal and motivated team has a wealth of skill and experience providing an unrivalled level of expertise including dry cleaning and laundry qualifications from the Guild of Cleaners and Launderers. We promise you a high quality service and an unsurpassed attention to detail. It is our long term mission to continue developing our business in order to surpass our customer's expectations. We offer all this at sensible prices with collection and delivery in the Rugby area including your place of work.